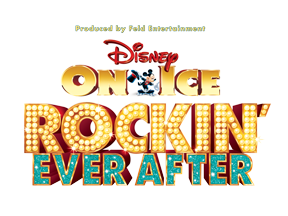 Neither rain, nor sleet, nor sleety rain, nor snow, will keep us from attending the opening of Disney On Ice's Rockin' Ever After at the Barclays Center. We are attending on behalf of the NYC Dad's Group, as I'm going to write a review of it for their blog, where I occasionally contribute my Bons Mots. While we haven't seen the show yet, the press materials make it sound interesting-- they use a talent show format to mix characters from Brave, The Little Mermaid, Tangled and Beauty and the Beast. They also intersperse some of the more typical Disney characters (Mickey, Minnie, Goofy, etc) to make the spectacle a little more magical. They include acts like Cinderella’s stepsisters tap dancing; Gaston debating which of his many ‘talents’ he should perform; Pinocchio singing; and the harmless hooligans from Tangled unleashing musical mayhem with giant frying pans in hand. AA has seen 2 of the 4 movies, and had actually mentioned Disney on Ice to my wife (I think he'd seen a commercial for it on Disney JR) So when the opportunity to see the show came about, we jumped on it! You may or may not know that Disney on Ice is produced by Feld Entertainment, who also produce Ringling Brothers, Barnum & Bailey Circus. I love their mission statement: Feld Entertainment is the worldwide leader in producing and presenting live touring family entertainment experiences that lift the human spirit and create indelible memories.